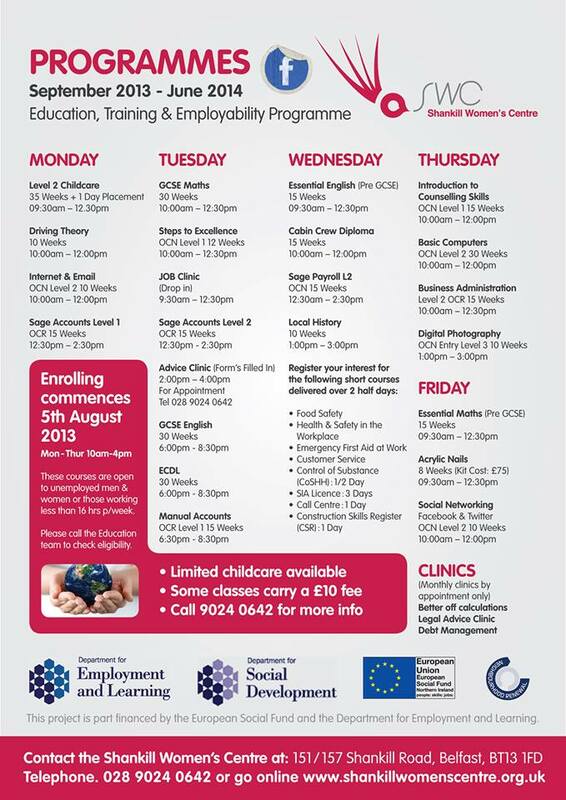 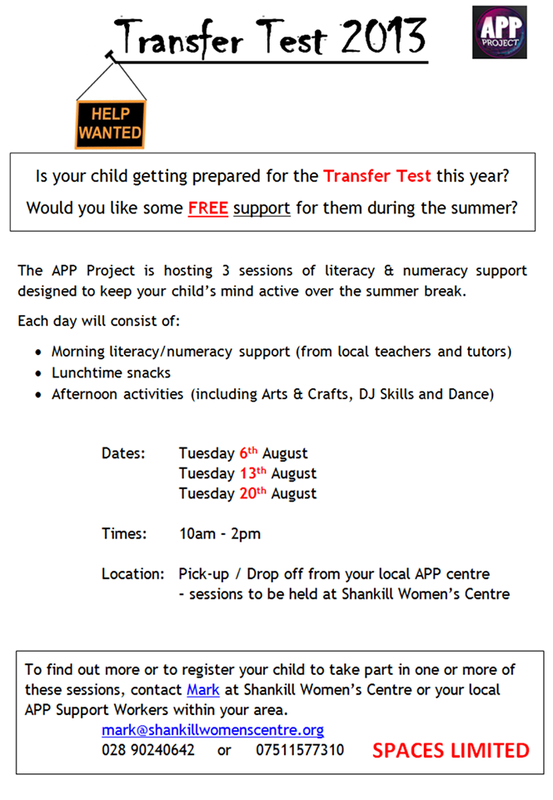 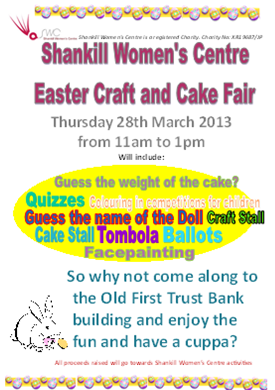 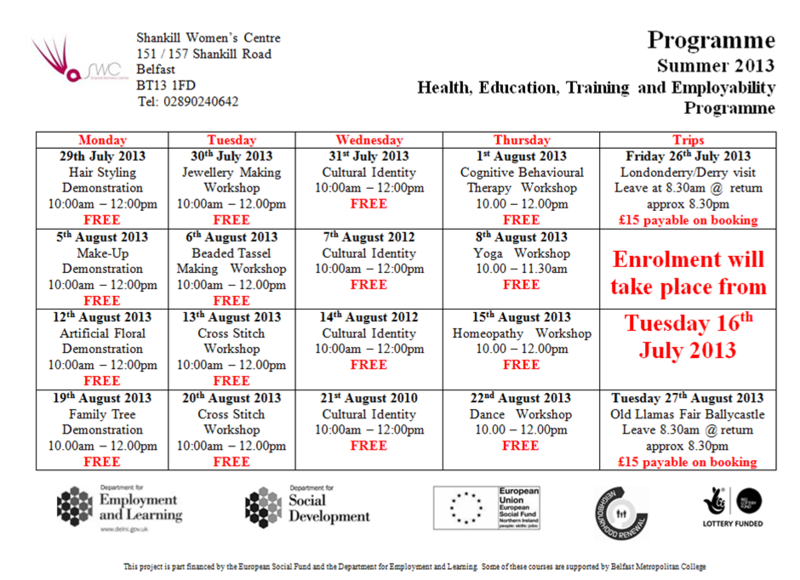 Shankill Women's Centre offer a wide range of courses and programmes. 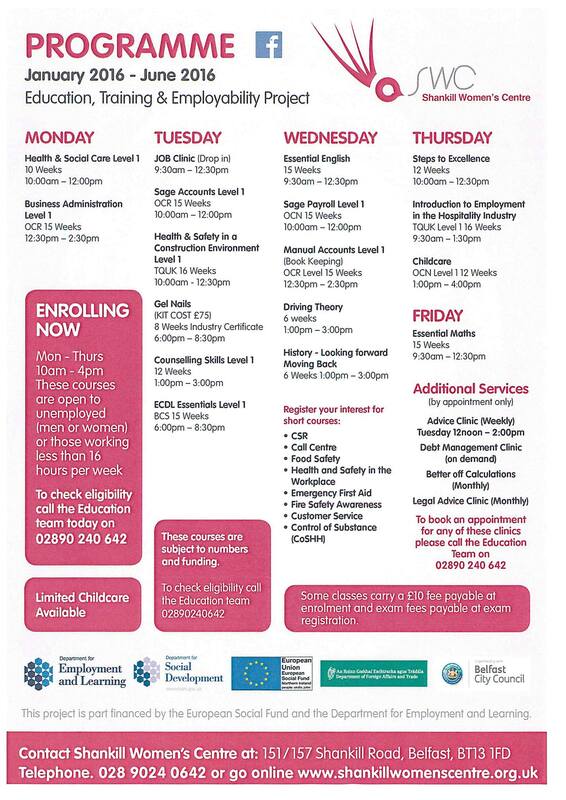 Please contact us on 028 9024 0642 for further details. 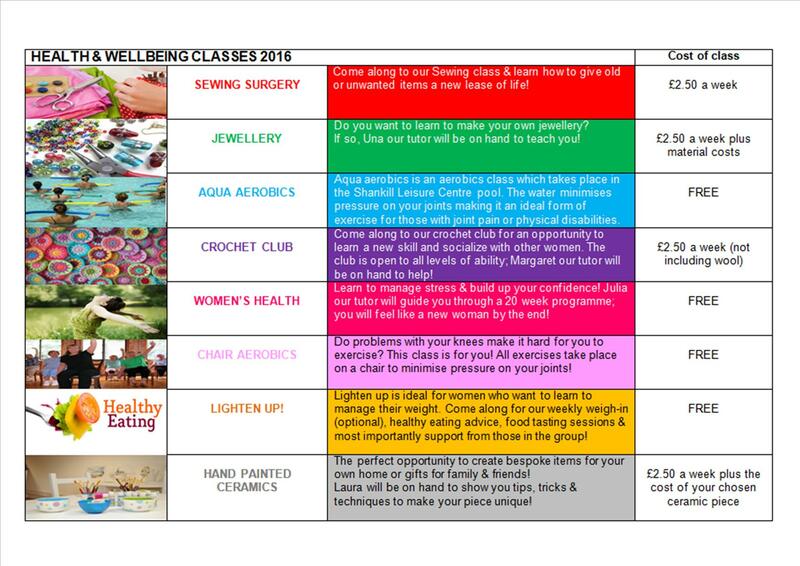 We also organise and support a range of events which you can find details of below. 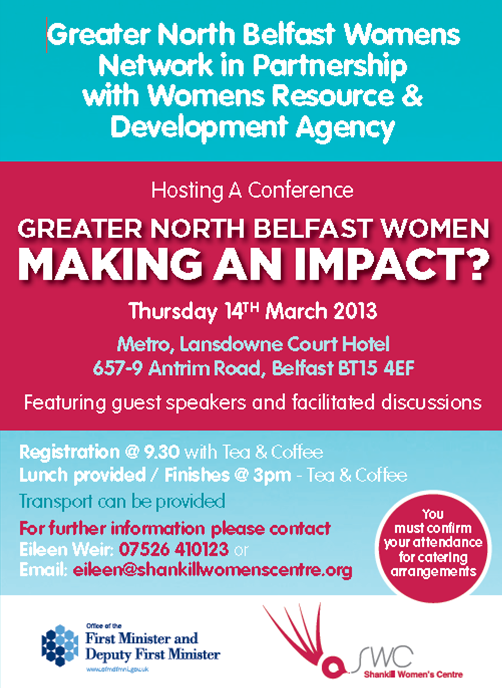 For more information contact Trish or Aimee on 02890240642! 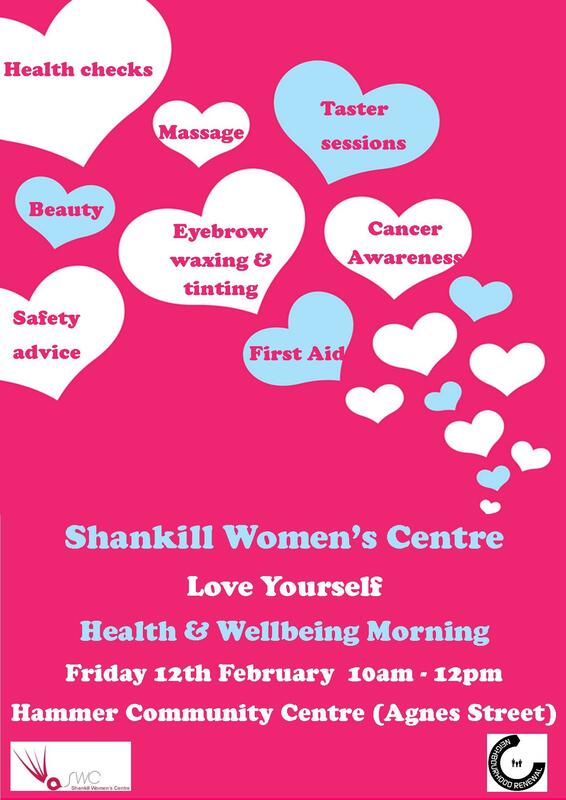 Love Yourself Health & Wellbeing Morning! 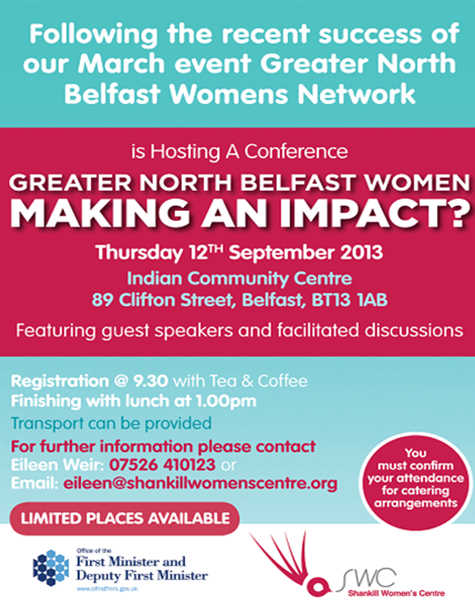 Greater North belfast Women Making and Impact?